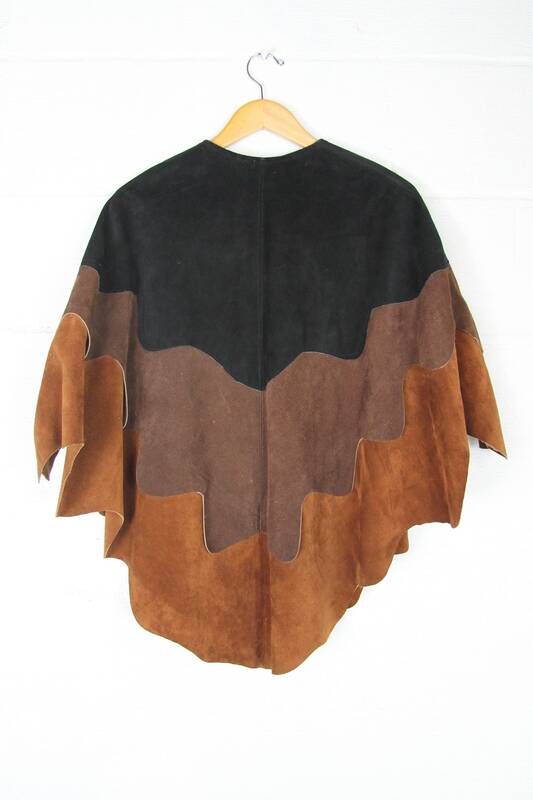 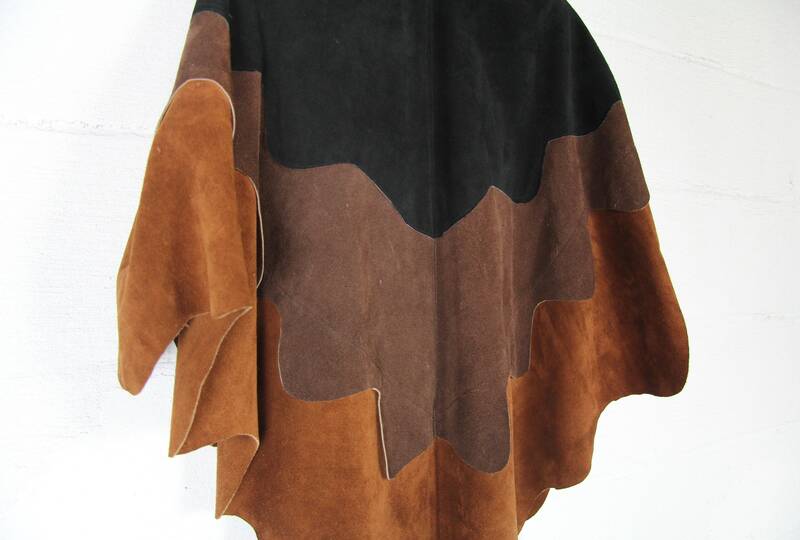 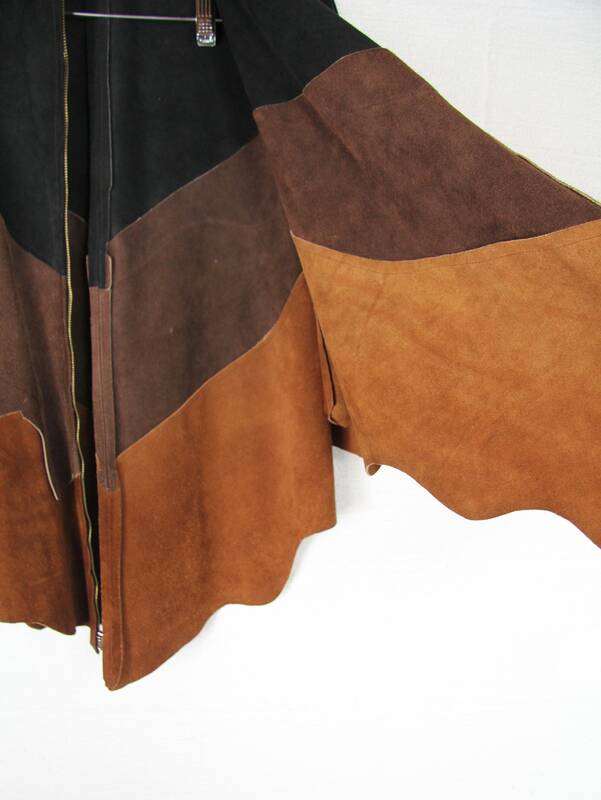 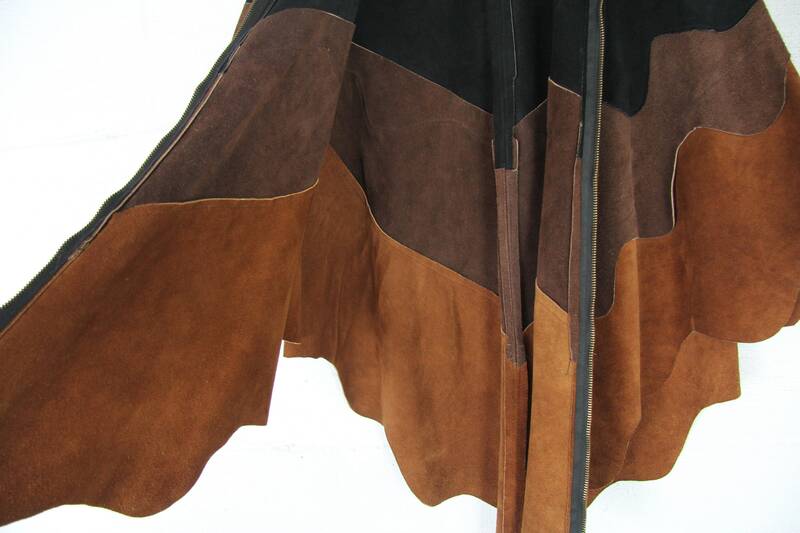 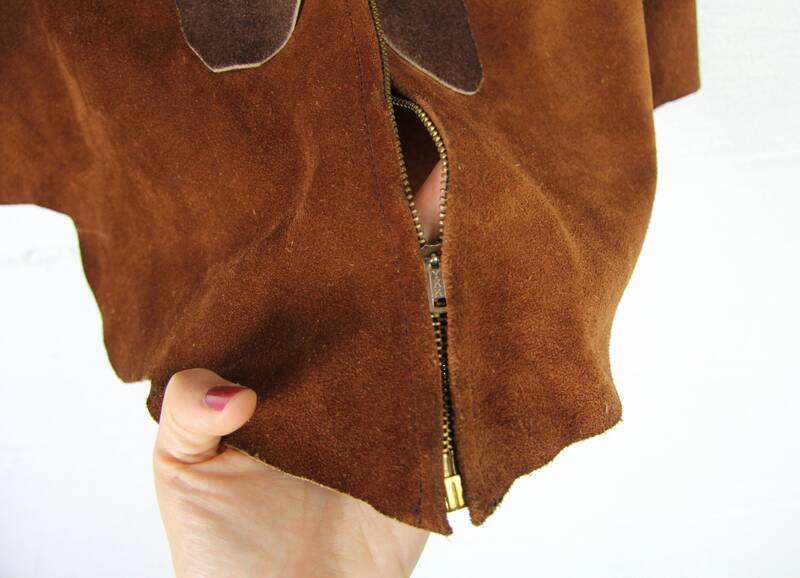 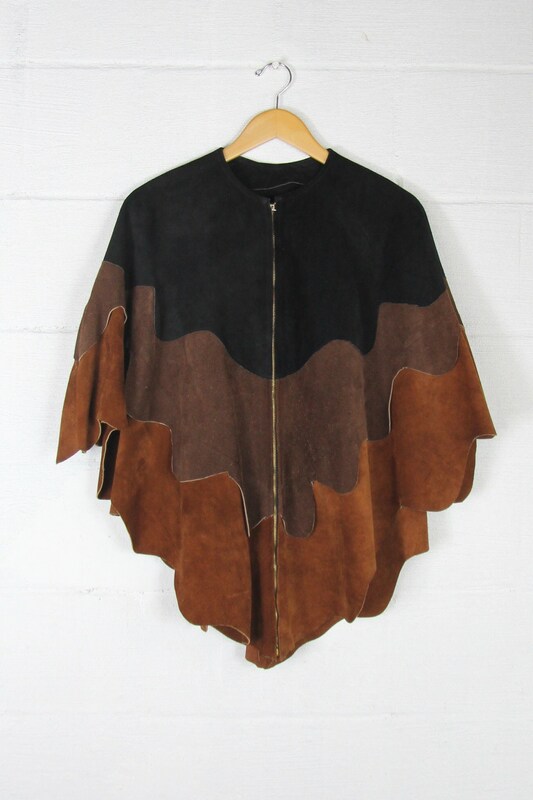 The most rad vintage leather cape, perfect for jumping on the bus and going! 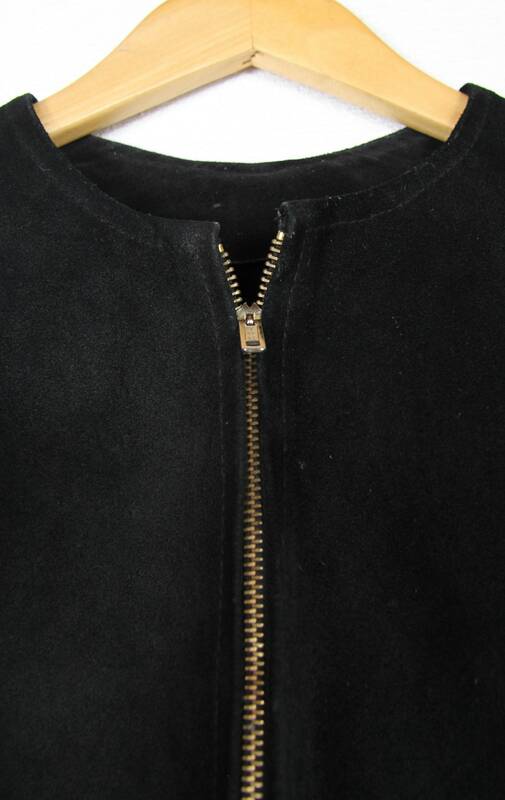 Great heavy suede with industrial metal zipper up the front. 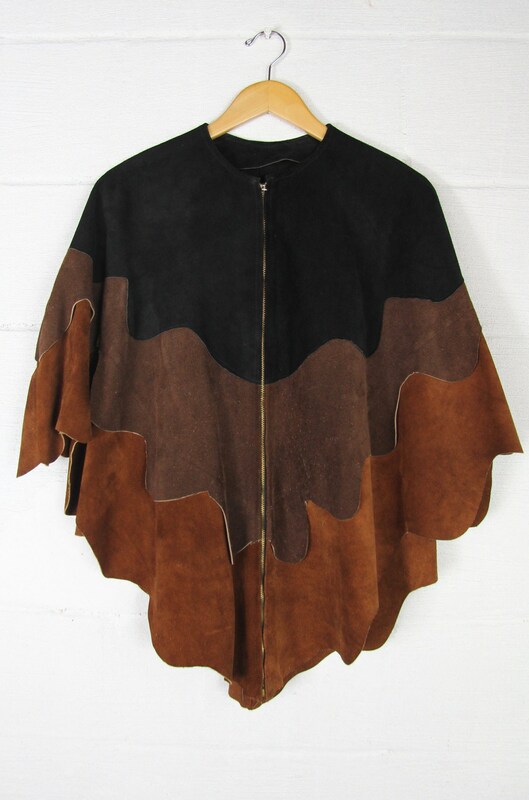 Tag reads: Queen of the Capes.